Please read my movellas- I would love feedback and constructive criticism. mumbled "Rest in peace Cory Monteith." He was an amazing actor and musician, I hope his soul is at rest. 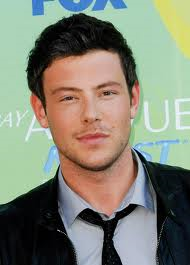 My heart also goes out to Lea Michele, his equally talented co- star and girlfriend. They were going to get married in just 2 weeks, so stay strong Lea, and all of Cory's family and friends.